If you’ve got high blood pressure (hypertension), you’re in good company. 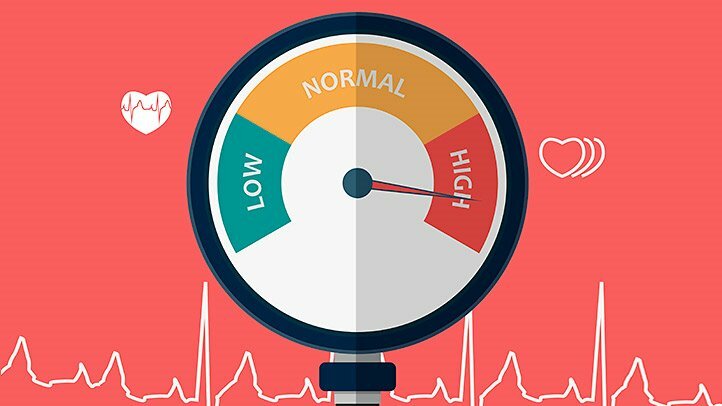 The American Heart Association estimates that nearly half of all adults in this country have high blood pressure—when blood presses too hard against your blood vessels. That’s not something you can afford to ignore. It doubles your risk of cardiovascular disease—stroke, heart disease, and a bunch of other not-so-fun stuff. New numbers. You might think you’re in the clear when you’re not. Last fall new guidelines redefined high blood pressure as 130 over 80. Before, 140 over 90 was considered the threshold of high blood pressure. Do you know your numbers? Hmmm, I didn’t think so. Lots of people don’t. But it’s easy to find out. You can come into our store for a free blood pressure reading, or you can buy your own monitor to check it at home. Of course, doctors and nurses also routinely check it when you come in for a visit. If they don’t tell you your reading, be sure to ask for it. Signs to watch for. Most of the time, high blood pressure is silent—it doesn’t cause symptoms. But sometimes it does, especially if your numbers are very high. Signs to watch for include mild, long-lasting headaches or brain “fog.” A “hypertensive crisis” can cause a crushing headache. If you have one, don’t wait: get to the emergency room right away. Other uncommon symptoms linked with high blood pressure include bloating, decreased urination, sudden vision loss, dizziness, or trouble keeping your balance. Granted, many things can cause these symptoms, so don’t panic. When in doubt, though, see your doctor. How to lower your risk. You can inherit high blood pressure, so find out if close relatives have had it. That includes your parents, siblings, or grandparents. It’s especially important to know if any of them had a heart attack at a young age. You can’t do a darn thing about your genes. But if you do have a genetic risk or your numbers are high, there’s a lot you can do to reduce your lifestyle risks. For example, your doctor may recommend increasing your exercise to 30 minutes at least 5 days a week. The DASH diet is also a great place to start. The U.S. News and World Report rated it the best “overall” diet among nearly 40 diets it’s reviewed. DASH focuses on vegetables, fruits, whole grains, low-fat dairy, and lean proteins, among other things. When combined with a diet low in salt, it can be very effective at managing blood pressure. Within just two weeks, it can lower blood pressure a few points—with a drop of eight to 14 points over time. DASH also gives you a two-for-one: It can also lower blood cholesterol. If you need medications. You might need to take medications for high blood pressure, especially if you have other risk factors for cardiovascular disease. Be sure to let your doctor and your pharmacist know if side effects are a problem. We may be able to tweak your dose or have you try another medication. We want to help you succeed at seeing those numbers go down!